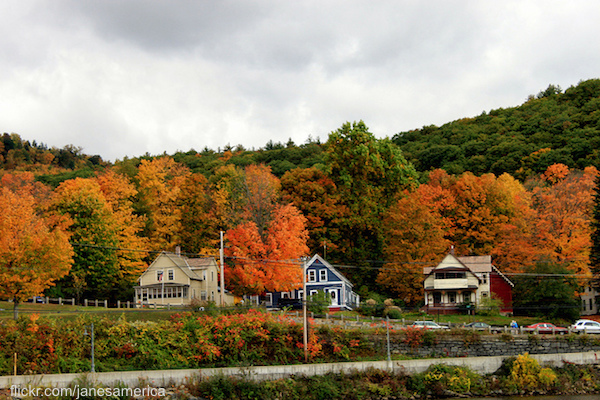 The Berkshires offer some of the best fall foliage anywhere on the East Coast as well as a vibrant cultural and artistic scene. Drive the numerous winding roads that connect tiny mountain hamlets all set against a beautiful forest backdrop that explodes in vibrant color by mid-October. The image above was taken in Shellburne Falls and depicts well the kinds of views you can expect when you get to the Berkshires.